– Steven R. Woods, M.Ed., M.D. Malik dreams of using his education to change the world. Dream with Malik. Dream with me. 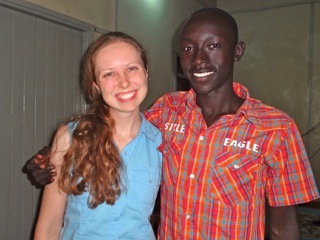 In honor of his dream and my 28th birthday, would you give toward his ongoing education? Posted by Jennie Joy on June 26, 2014 in Development, Faith, Hope, Intentional Living, Photos, Relationship, Thought and tagged African war child, ambitious, bachelors degree, contribute, donate toward a good cause, education, give back, healthcare in Africa, higher education, how can I help, individual donors, MD, pay it forward, PhD, pursuit of higher education, south sudan, student, Sudan, thank you for helping, tuition sponsorship, Uganda, where is a good place to invest, worth investing in.